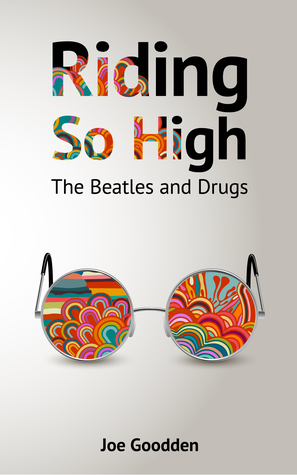 “Riding So High: The Beatles and Drugs” is Joe Goodden’s first book: “The Beatles’ extraordinary odyssey from teenage drinking and pill-popping, to cannabis, LSD, the psychedelic Summer of Love and the darkness beyond”. His first book, nonetheless a stunning book, should be an inspiring example for every aspiring writer. “Riding So High” is one of the best books I’ve ever read about the Beatles, so well documented, so well organised, answering to all my questions about The Beatles’ drug and alcohol use. Yes, I knew all their stories, on the scene and behind the scene. However, by now, I hadn’t found a book so complete presenting their darkest sides. In all circumstances, The Beatles should be seen as a whole, with huge talent, wit and inspiration, but also having their setbacks: addictions, abuse, (paradoxically!) low self-esteem, depression. This book is so extraordinarily conceived that it presents without exception all their failures, but still has the amazing power to highlight the unbelievable phenomenon they were and the astonishing legacy they left behind. I just could’t put down the book for several days. The very rich bibliography is a good starting point for a good book, but the author’s literary talent makes it even better. Every detail, every fact, every milestone of the Beatles’ career is presented from multiple points of view, enabling us to build the big pictures in our minds: we have each of the Beatles’ perspective, their wives’, their friends’ and entourage’s perspectives, and even the recollections of people that briefly knew them – a good example is the poet Royston Ellis, who firstly introduced a “drug” to them, suggesting chewing the Benzedrine strip inside a nasal inhaler. I truly enjoyed following each of the Beatles’ career and life, because the author succeeded in presenting their existence up to this date. Thanks to this book, I now have in mind the correct big picture about the Beatles’ high rides. Like any other Beatles’ fan, I was reading articles now and then, facts, rumours and anecdotes about the Beatles’ excesses, addictions and psychedelia – bits and pieces scattered all over the media. But Joe Goodden had the amazing patience and energy to read everything, classify all the information according to periods, albums or individuals, check all the facts and create this masterpiece. And it was a real ride reading it! P.S. : You can order the book on Amazon.